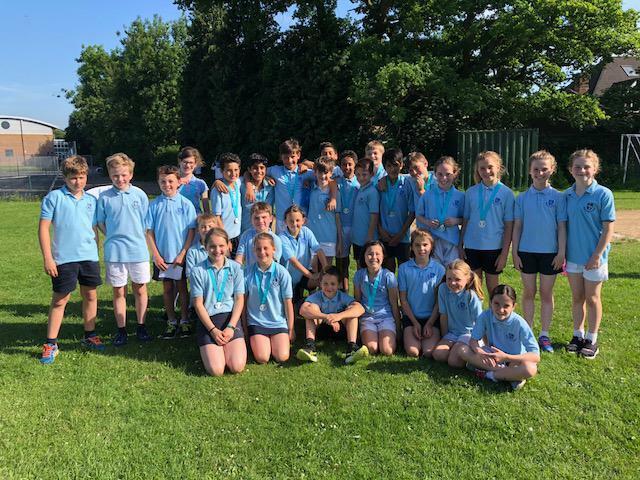 Our athletics teams have made a great start to the year, On Wednesday a Year 6 team and a Year 5/6 team took part in the Quad Sports against 7 other school teams. In this competition every member of the team does a 75m sprint, 600m, standing long jump and throwing the vortex scoring points for the team based on their performances. All competed hard and Matilda Siebrits was the second best girl out of all the competitors while Jayan Rai finished second in the boys and Seb Bocquet first overall. Our B team finished fourth of nine, while our A team won the competition and will go forward to the County Finals in Stoke Mandeville in July. 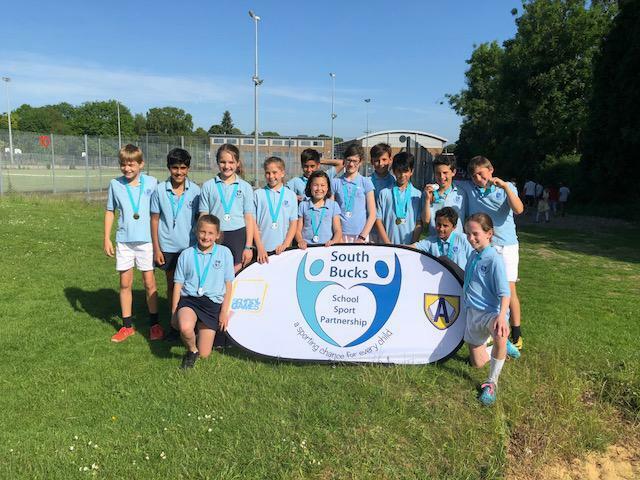 On Thursday our KS2 team competed against Farnham Common, Burford, Chalfont St Giles and Holmer Green in an athletics competition at the Wycombe Centre. There were notable performances from our distance runners with Rowan and Freddie winning their races. This continued with the sprints and 200m and scores were very close with just the relay team to come. Here our teams benefited from their lunchtime training and blew away the opposition with six of the eight teams winning their races so congratulations to our Y3 boys, Y4 and Y5 teams and Y6 boys. At the end we were clear winners over the other schools with all the team performing well.